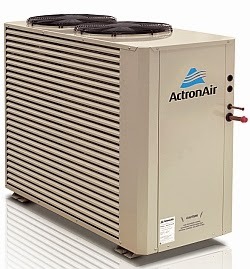 A common appliance in many homes that can suffer from standby electricity is the air conditioner unit. This standby electricity greatly adds to the quarterly electricity bill and for some householders it is hard to discover and remove. So let us take a look at why this standby electricity occurs in an air conditioning unit and how to eliminate it. So how do you reduce the standby electricity of your air conditioner? Well the simple solution is to turn it off at the power board when it is not in use. In some homes this can be for six months or more of the year, when the AC unit is not used. With 100W of standby power costing at least $300 over the year [when based on a thirty five cent tariff], this is an amount of electricity costs that should not be ignored. 'When you require the operation of the A/C please allow at least 4hrs on standby (after the isolator has been turned on) before initialising the touch pad ON/OFF button'. The reason for this initial power up sequence, is due to the control board sending a ‘trickle’ charge through the compressor windings to warm the oil of the unit, during this four hour period. This warming of the oil is needed to get it to the correct viscosity. This process also removes any migrated liquid refrigerant from the compressor sump. If this warming process is not carried out, premature damage may occur to the compressor. Furthermore there may be an increased efficiency loss and eventual seizure could occur. This is why if the power is removed, the correct procedure needs to be followed before operation. On some inverter style AC units, the design energises the compressor windings (trickle charge) if the outdoor ambient temperature falls below 21C, during the off cycle or while in standby for a duration of 30 minutes on and 30 minutes off until the compressor is initialised for heating or cooling again. It can be this constant energising of the compressor windings that greatly adds to the standby power consumption, especially during any cooler periods where the ambient drops below 21C regularly. It is noted this method [trickle charging the compressor windings] of heating the oil is far more efficient than any crank case heater in earlier AC units. These crank case heaters being powered on all the time and consuming large amounts of standby power. Standby power is easy discovered by using an ELECTRICITY MONITOR in the home, where each appliances 'on power' and 'standby power' are easily discovered.